The Russian sector of commercial orchards currently yields fresh fruit of the food embargo: the producers strive to build up harvests and gain the market share previously occupied by imports. A strong driver to this trend is government support for starting orchards. Specifically, the Russian Ministry of Agriculture has boosted subsidisation fivefold in 2015 – 2016. The Russian sector of commercial orchards currently yields fresh fruit of the food embargo: the producers strive to build up harvests and gain the market share previously occupied by imports. A strong driver to this trend is government support for starting orchards. Specifically, the Russian Ministry of Agriculture has boosted subsidisation fivefold in 2015 – 2016. As reported by Alexander Tkachev, Russian Minister of Agriculture, a total of 72k ha will be established before 2020. 2017 registered 3.3bn RUB of subsidies for orchard start and aftercare with 15.2k ha of orchards laid. An increase in fruit and berry yields and acceleration of the entire industry’s growth is fostered by introducing innovative solutions, attracting investment, building rootstock nurseries, and developing state-of the-art machinery. All these factors can be enabled only through the combined efforts of all industry stakeholders, who will be brought together at the industry meeting place “Orchards of Russia”. 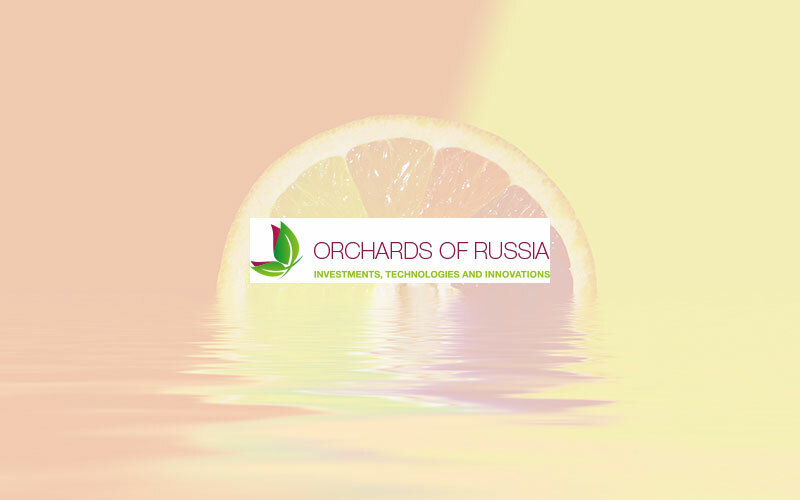 The Forum and exhibition “Orchards of Russia 2018” (5 – 6 June 2018, Moscow) is a thought-provoking international platform tailored for unlocking investment in Russian commercial orchard and viticulture industry, discussing industry development strategies, sharing best practices, and placing new win-win contracts. At present, the forum expects a total of 250 representatives from the entire value chain, including C-suite executives of the industry leaders, such as Belgorod apples, Beliy Sad, Glazunovka Gardens, Mengir, Nash Sad, and Plodovoye, along with policymakers, investors and top engineering companies. In general, the expected attendee line-up is represented by the following categories: 30 % of commercial orchard enterprises, 30 % of farm enterprises, 20 % of Russian and international investors, 15 % of service providing companies, and 3 % of regulators. The positions of delegates include: Governors, Ministers and their deputies (10 %), Presidents and VPs (28 %), CEO and their deputies (30 %), and divisional directors (30 % as well). The forum will be bringing top players of the sector together to evaluate the financing and investment landscape of the industry, share insights to improving efficiency, reducing costs, product storage and processing, and other critical issues. Moreover, it will highlight more than 60 investment projects in viticulture and orchard industry with 2019 – 2020 deadlines across Russia: Sad-Gigant Ingushetia, Yuzhnye Zemli, Chernozemye Berries, to name just a few. A special focus will be put on Meetings with Investors for project initiators and investors to discuss cooperation opportunities in a relaxed setting.